You make a lot of mistakes when you are 16. I think this is a sentiment held by the vast majority of us, questionable outfits that we swear to our parents are cool, and even more questionable haircuts that we look back and think how did we ever leave the house (streak blonde boys highlight should never make a come back). Another thing I was vastly wrong about was “for men” products, 16 year old me felt that for men was just a marketing ploy by the industry to make me buy bad packaging and smell like Lynx Africa, the scent of puberty. Skincare “for men” was something I used to moan about – mainly because I preferred the idea of using certain “non specified gender aka for women ” products. However just like streak blonde highlights, I have now learnt the error of my ways, and skincare for men truly is something to be embraced. I was lucky enough to be on of the few guys invited to the LQD x London Fashion Week Men’s party, celebrating LQD Skincare as one of the partners of this summers LFWM, but also to celebrate the fact that the product has launched in the Uk exclusively to Harrods! When Anthony McDonough spoke about the creation of the product, it was nothing short of a movie scene. Mid forties, married with a wife and a daughter he divorces his wife, moves out, comes out, gets into a relationship with a man, moves into the house next door and set up a men’s skincare brand! I mean if you aren’t hearing Hollywood script I just don’t know why! Anthony had a history in chemistry and working with investment banker Christopher Glebatsas they developed the brand LQD Skincare. 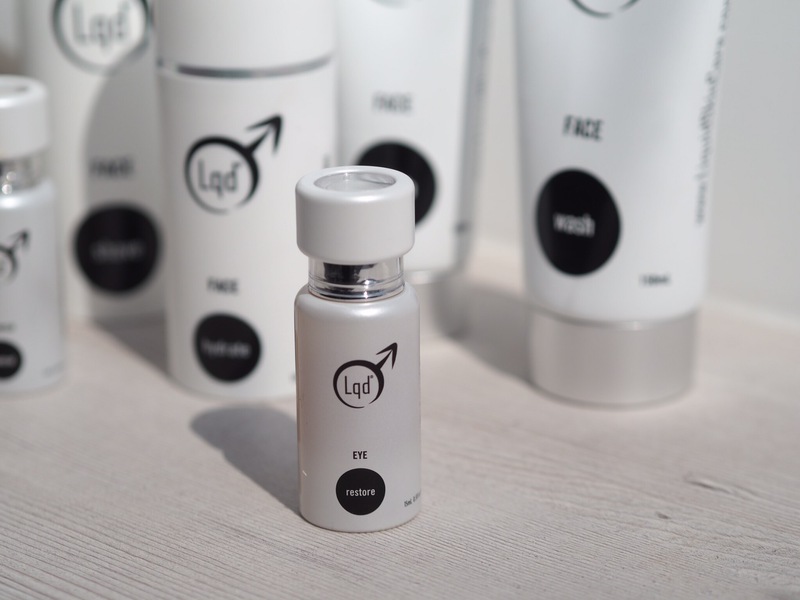 He said “Lqd is designed for men who care about how they look and feel. Our range is about looking after your skin and keeping it well hydrated, so that you not only look the best you can right now, but you can slow down the aging process as well”. 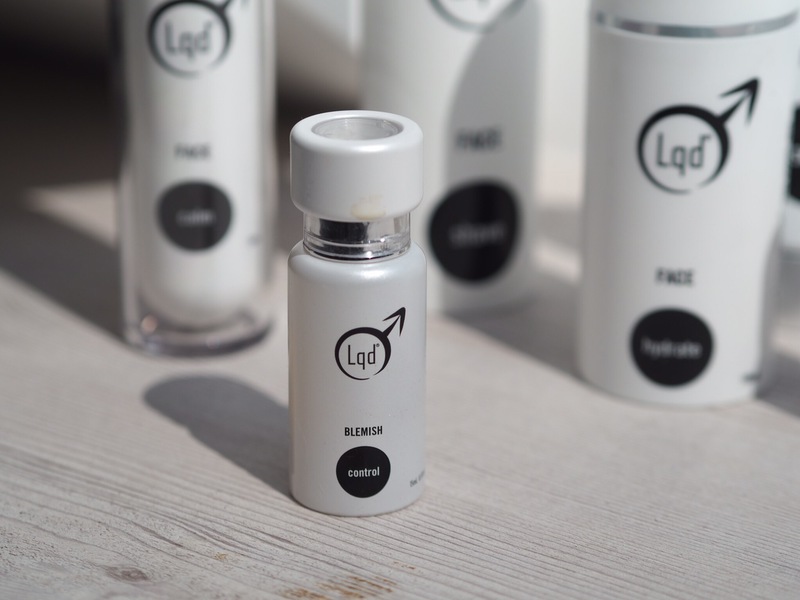 LQD is a product designed for the modern man, specific to the genetic make-up and oils of male skin – genetic make-up and oils that differ from that of a woman’s skin (sorry 16 year old you were wrong!) . Products to clean away grime while also replenish much needed enzymes and oils. We all got given an amazing gift set with all the products in, the first thing is the packaging. The matte White and black casing not only has an amazing masculine touch but feels exceptionally premium. The range spans everything you would expect from a premium brand from face wash through to eye cream. Rather than go through each product there were two that really stood out to me as exceptional. The LQD Control Blenish Gel is designed with an advanced Salicylic acid serum that helps clear the skin of blemishes and ingrown hairs, while preventing further breakouts. Now I go to the gym every morning, and naturally have oily skin, so I am prone to breakouts. On applying the gel to the spots you notice a tingly feeling, guessing that’s the acid ey? Whatever it is, it works miracles! Overnight the spot was gone, and that is no lie! All redness – everything! I genuinely have never used a product like it! The second product I want to highlight is the product that I feel LQD are going to become famous for – their Eye Restory cream commonly referred to as “Botox in a bottle”. Say goodbye to all puffiness and dark circles! Over the week that I’ve been using the product, not only do I look more awake, but I don’t have those deep set lines that makeup just creases into when trying to cover them! These results are over 6 days – LQD say that best results are over 30 days so I can’t wait to see what I look like next month!